Virtual offices at the Melville Corporate Center provide clients with a professionally staffed reception area, 24/7 access to meeting rooms and access to professional administrative support. With perfectly decorated offices and beautiful landscapes, this is an ideal location for your office. This virtual office location can supply on-demand meeting rooms, high speed internet, day offices, and reception services as needed. This is a perfect location for any entrepreneur, start-up or small business, or home-based business. Located in the town of Huntington in Suffolk County on Long Island, Melville sits directly east of the county boundary with Nassau County New York. The Long Island Expressway (LIE) and Northern State Parkway, two of the country's busiest highways and major points of entry in and out of New York City, pass through Melville. Melville is located immediately off of Exit 49 of the LIE. New York State Route 110 runs through the center of Melville. Melville is home to the U.S. headquarters of several national and international corporations, including American Home Mortgage, Arrow Electronics, Chyron, Nikon Corporation, OSI Pharmaceuticals, Allion Healthcare, the Italian-food chain Sbarro, Bouchard Transportation and global staffing giant Adecco. Additionally, many operations of the Manhattan-based Est�e Lauder are conducted in Melville. Melville, is also the home to many Fortune 500 companies. 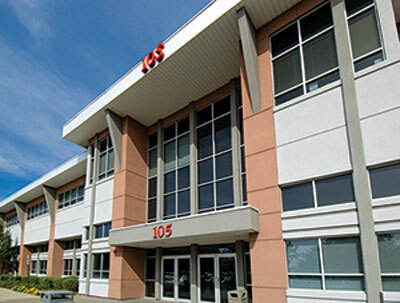 These headquarters and many other corporate and industrial centers are found on or near Route 110, which runs north to south through Huntington, Melville, Farmingdale, North Amityville, and Amityville. If you are searching for a premier Melville office space to rent or lease, let ABCN handle everything for you! From start to finish, ABCN is here to help. Give us a call at 1(800) 869-9595 to speak with a representative about executive office space in Melville.